Temporomandibular dysfunction or TMD for short, is a condition that may lead to excruciating pain in the jaw joint area. Further more, related symptoms such as such as TMJ clicking, painful jaw muscles, facial neuralgia (trigeminal neuralgia), tinnitus, headaches, migraines are a few worth mentioning (D’Urso et al., 2016; Attanasio et al., 2015; Romero-Reyes & Uyanik, 2014; Franco et al., 2010). It has been estimated that up to 33% of the population is affected with some kind of TMJ disorder, and between 3-7% are in so much pain that they require treatment. Sadly, there’s no real consensus with regards to the cause nor treatment protocols for temporomandibular dysfunction. In this article, however, I will detail what I consider to be the true cause and cure for TMD, a protocol that I use myself in my clinic on all TMD patients, with overwhelming results. The true cause of temporomandibular dysfunction, is habitual retraction of the mandible, jamming the glenoid fossa (joint socket). Underdevelopment of the maxilla bone (upper jaw), improper tongue posture, mouth breathing habits and similar will establish an excessively posterior tooth occlusion, and thus encourage posterior translation of the mandible, ultimately jamming it into the joint socket, causing deterioration over time. This video does illustrate the cause of TMD well. It does not, however, mention the causes of horizontal underdevelopment of the maxilla; improper tongue posture. Pacifiers, thumb sucking and chewing overly soft foods in our youth, inhibits horizontal growth of the maxilla, leading to a more posteriorly established dental occlusion. The mandible (lower jaw) keeps growing into its full potential, even when the maxilla did not. The result of this is a mandible that is proportionally longer than the maxilla, which often lead to TMJ compression and TMD if postural occlusion is to be maintained. The more underdeveloped the maxilla is, the more compressed the TMJ joint socket will become, as the differential of length ratio between the two parts increase. It is very important to understand that the TMJ is not a hinge joint. Most dentists, and even so called “TMD specialists” believe that the mandibular condyle should rest in the posterior position of the joint socket. This is absolutely wrong. The TMJ is an elliptical joint, allowing movement in all directions, from center. It is absolutely critical to understand that a centrated TMJ is equivalent to slight protraction of the mandible, and not maximal retraction; it should rest a minimum 2-4 millimeters more anterior than complete retraction, preferably more. When the mandibular condyle rests too far back in the glenoid fossa (socket), this may lead to an array of issues, as mentioned earlier. We will speak more about the causes of this, but one important reason is that the pterygoid muscles will inhibit (become inactive). The pterygoid muscles are have very important functions, as they pull the mandible forward (anteriorly). Anterior translation of the mandible = unjammed / decompressed TMJ, right? Yes, indeed. The lateral pterygoid controls protraction (forward translation) of the mandible during opening of the mouth. Ipsilaterally, it also rotates the jaw toward the other side (longitudinal axis). It has two heads; a superior and inferior portion. The medial pterygoid on the other hand, controls protraction during closing of the mouth. It also shifts the mandible contralaterally. Because these muscles protract the jaw, they become inhibited when the jaw is habitually retracted in posture. The studies below show that there are no official beneficial diagnostic or treatment protocols with regards to TMD. It is therefore not very surprising that the researchers also do not find any significant difference between psychological treatment and physical treatment, when they didn’t know the cause in the first place. There are some studies showing significant improvement by utilizing some methods, although lacking consensus. It is however important to note that they are talking about symptom relief, and that they are not aware of the cause of TMD, in similar fashion to the above-mentioned studies. At the very least, postural correctives are portrayed as something positive – which they absolutely are, when done correctly. There is a high correlation between foward head posture (FHP) and temporomandibular dysfunction. The reason is because the mandible is attached to the sternum through the hyoid musculature. The further forward the head translates, the higher the tension of posterior mandibular pull through the hyoid structures will become. The added posterior retractive forces on the mandible will exacerbate the existing dysfunction, which is caused by underdevelopment of the maxilla, leading to a double compression force to the temporomandibular joint. This especially applies for mouth breathers and people with open-mouth postures, as the hyoidal posterior mandibular pull will not have great effect if occlusion is intact. It is possible to treat TMD without dealing with the craniocervical position, but it makes it harder to maintain proper mandibular resting position due to the retractive forces imposed by the infra- and suprahyoid stretching that occur when the head is forward. Let us have a closer look at common postural myths, and how to really correct FHP. To correct forward head posture, one must also address general postural sway. If the point of gravity is too far back, as with the utmost common swayback posture, the head and shoulders will naturally come forward in order to maintain equilibrium. No amount of cervical corrective procedures will ever be able to correct this! The point of gravity must be altered in order to be able to change and promote proper craniocervical resting position. The chest must be in line with, or anterior to the hip. The shoulders should never be posterior to the hip. The shoulder smust be raised slightly (half an inch), to avoid clavicular depression, if they are indeed depressed. Swayback posture and clavicular depression both contribute to forward head posture. By maintaining proper thoracopelvic and clavicular alignment, this will lay the foundation for proper craniocervical posture, making it easier to maintain good structural habits. In practice, all you need to do is get your hip slightly backward, chest slightly forward, and shoulders slightly upward. Then stay there. You’ll get used to it within 4-8 weeks. For more information on thoracopelvic correctives, look into my lower back article. I’ve written a long article about the TMJ and its relation to body posture in my atlas-article (link – coming soon). The point is, though, that imbalanced occlusion and open-jaw postures will encourage both forward head posture due to loss of tensegrity of the hyoid musculature that pull the head into flexion when the mouth is closed, and encourages rotation of the atlas, most likely due to the occlusive state’s effect on the sphenoid bone that the optic nerves (CN2), as well as CN3, CN4 and CN6 pass through. The relation between occlusion and sphenoidal alignment, is formed by the temporalis and pterygoid muscles that attach to it. It is however important to note, that even if you have a very crooked occlusion, you are not doomed to live with horrible posture. Our consciousness and habits may override the body’s automatic postural “baseline”, meaning that we can get out of forward head posture or pelvic imbalances by simply being aware of it and avoid letting it happen. You will most likely need to be taught how to do that, but it’s definitely possible and is something I teach my clients daily in clinic. Identifying TMD itself is not difficult. Reduced horizontal maxillary growth is indicated by an unproportionally bigger and more protruding nose than the cheeks, and reduction of the naso-maxillary line. This is, however, something that dentists and people with special orofacial interests may pay more attention to. It’s really not that important, in order to deal with TMD itself. Check out dentists Mike and John Mew’s youtube channel for more information on this. First off we have the symptoms, also mentioned earlier: jaw pain, myofascial pain in the chewing muscles such as temporalis, masseter and pterygoids, headaches, tinnitus, trigeminal neuralgia, etc. There may of course also be more symptoms, but they are not as common as the ones mentioned. The ultimate TMD assessment technique, is measuring the distance between resting mandibular position and maximal retraction. Its resting position is usually maximally retracted already, crushing the TMJ socket for each day that passes. Additionally, the jaw will most of the time be unable to protract when opened, causing further posterior shearing forces into the joint socket and TMJ articulate disc. Close your jaw with full occlusion (molar contact). Relax the jaw without moving it. Try to retract (pull back) the mandible. If it moves minimally, or not at all, that means the mandibular resting position is causing the condyle to jam into the TMJ, often leading to pain, disc injuries, arthritis and so on over time. In other words, the occlusive state is causing chronic joint deterioration and must be altered, either by posturally moving the jaw forward, or expanding the maxilla horizontally. As a myoskeletal therapists, the first mentioned is my approach. A dentist who really knows how to deal with TMD, will probably choose the latter. There are also some splint therapies, such as Starecta, that supports mandibular protraction. The next step is to assess its movement. It is important to teach a dysfunctional jaw how to move properly, especially with regards to protraction, as this movement is often (always) inhibited. To identify improper opening and closing of the jaw, watch yourself in the mirror (or your patient) and look for mandibular retraction as the mouth opens. This is an unnatural way for the mandible to articulate within the joint socket, and will often lead to laxity of the TMJ capsular ligaments over time, causing anterior displacement of the mandibular condyle. If present, it will reveal itself as a bulge appearing anterior to the jaw joint, as illustrated in the picture below when the mouth opens to a certain degree. The bulge is the mandibular condyle subluxing anteriorly. Once again, the mandible should protract (come forward) when the mouth opens, and not reflexively retract. The latter is what I almost always identify in people with temporomandibular dysfunction. You can also watch for left or right deviation as the mouth opens. The direction it deviates to indicates higher TMJ compression on that side, although many experience TMD bilaterally. Sadly, many therapists teach their patients to force greater mandibular depression (mouth opening) as an exercise, if mouth opening is restricted. This is highly detrimental and must not be done! The cause of reduced mandibular depression is improper TMJ articulation (lack of protraction) and not a simple “tight muscle”-problem. Patients who are exposed to these quacky protocols will end up getting worse and not better, as the TMJ is crushed due to lack of mandibular protraction! The TMJ restrictions are infact the body’s way to try to hinder further damage and excessive compression to the joint socket. On the other hand, this is how optimal TMJ kinematics should look like, in the picture below. The mouth opens by encouraging downward and forward translation of the mandible, by utilizing the hyoid and pterygoid muscles. Also note the lack of bulging of the mandibular condyle, which does not displace when the TMJ is healthy and used normally. Here’s a video walkthrough of proper and improper TMJ mechanics. Habitual excessive retraction of the mandible will often cause many secondary effects. I will address the most common ones here below. A common sideeffect of TMD, is articular disc displacement. The articular disc is a structure that lies between the mandibular condyle and temporal bone (joint socket). Its function is to glide forward and backward in symmetry with the condyle’s movement, covering the condyle from grinding bone into bone. When the TMJ is compressed by an excessively posterior position of the mandibular condyle, the ligament (the retrodiscal tissue) that’s holding the disc may gradually degenerate, eventually causing the disc to slip forward in front of the condyle. There are two main types of displacement: with, and without reduction (WOR). “With reduction” means that the mandibular condyle is able to pop back onto the disc, causing the infamous “pop” as the jaw opens. If the disc is severely displaced, it may be unable to slide back into position between the temporal bone and mandibular condyle as the mouth opens, and this scenario is referred to as “without reduction”, which sometimes cause the joint to lock up or greatly restrict in mobility. Should we worry about disc displacements? Well, first of all it has been shown that patients with displacement WOR usually (~70%) resolve on their own, within a certain period of time. Surgery, rehab (of course, rehab without consensus), medication and psychological treatment were all found to be equally effective (or should I say ineffective) for treating TMD and disc displacement, indicating that the actual displacement is an unlikely cause of the pain by itself. Reports also note that the retrodiscal tissue may harden and create a ‘pseudodisc’ function. Additionally, scientists have conducted experiments where they purposely injured the retrodiscal tissue in goats, finding it to be reformed a month later. Why? In my view, because the goat doesn’t have the predisposing factor of TMD; TMJ compression due to continuous retraction of the mandible, and of course because the retrodiscal tissue has a decent vascular supply. Sure, the tissues were weaker (scar tissue), but this doesn’t really matter. The point is that the disc heals if there’s no continuous irritation to the joint, and the same applies, of course, to humans. Once the continuous injuring effect cease, the disc can heal. If there has occurred retrodiscal tissue perforation, meaning that the tissue is completely torn, then this requires surgery. The most common cause of TMD-related headaches are caused by the temporalis muscle, in my experience. Continuous retraction of the mandible will cause great imbalances between the muscles of mastication, often leaving the very strong masseter (a muscle that protracts the jaw) underused, overburdening the temporalis muscle (that pulls the mandible back / retraction). In addition to further the compressive forces in the TMJ, it will often cause trigger points in the temporalis muscles that cause headaches. Although it may be beneficial to treat these trigger points, either by massage or needling, it will not really address the cause of the dysfunction; improper mandibular resting position and articulation. Proper resting position and mandibular movement must occur for the temporalis overuse to cease and the trigger points to disappear for good. The trigeminal nerve is the fifth and biggest cranial nerve, innervating a great load of structures. It has both somatic and autonomic innervations. The trigeminal ganglion spreads out and becomes three main parts called the ophthalamic (V1), maxillary (V2) og mandibular (V3) branches. It is mainly responsible for sensory feedback in the face, and motor functions with regards to mastication. Symptoms of affection may vary greatly. Facial numbness, excruciating headaches, lightning type pain into the face and head, tinnitus, involuntary tear secretion, salivary gland pain, hyperacusis, hearing loss, palatal numbness, and more, are potential symptoms that I’ve seen in my office. Some of this occurs due to the trigeminal nerve’s relations to the pterygopalatine and submandibular ganglions that spreads into the salivary & lacrimal glands, palate, and due to its control over the tensor tympani and tensor veil palatini muscles which controls sound modulation in the ear. There are two main entrapment points for the trigeminal nerve. One is behind the mandibular ramus; the auriculotemporal part of the V3 mandibular branch (this is also called “Costen’s syndrome”). Excessive retraction of the mandible may compress this nerve between the mandibular ramus and temporal bone. This can be confirmed either by purposely retracting the jaw during opening and closing of the mouth, or by pushing into the nerve manually with your fingers. If this reproduces the symptoms in question, it is indeed affected, meaning it’s being compressed due to a continuously retracted position of the mandible. Information on how to deal with this is the main topic of this article, and will be addressed shortly, in the ‘Correctives’ section. Secondly, the buccal nerve may be entrapped between the superior and inferior heads of the lateral pterygoid muscle. The buccal nerve is yet another part of the V3 mandibular branch, and may lead to the same symptoms as already mentioned, as nerve compression almost always spread to nearby structures (i.e sciatic compression within the piriformis spreading to the calf). Confirmation of this nerve’s affection may be performed by forcibly protracting the jaw against a resistance (don’t cheat by clenching your hyoid muscles). If the pain is reproduced, the buccal nerve is probably entrapped. To solve buccal nerve entrapment, you need to strengthen the lateral pterygoid. You may massage it to get some relief, but it will always return, as the real cause (weakness, and habitual retraction of the mandible) hasn’t been dealt with. Symptoms may worsen initially, but that’s a normal part of rehabbing the muscle and is a positive sign that you’re doing it correctly. Don’t go harder than necessary, strengthen it gradually and the symptoms will resolve eventually, usually within a month or two. Dr. Antomy Sims, DDS (et al., 2007) has written extensively about the connections between the underlying connections between the jaw, trigeminal dysfunction and its impact on other cranial nerves. He believes, and has proven with several patients, that removing the compression imposed on the auriculotemporal nerve caused by a too posteriorly positioned mandibular condyle will cure dystonia and tourette’s. He believes that chronic noxious (damage) input to the auriculotemporal nerve caused by TMJ compression will cause signalling dysfunction between the trigeminal ganglia, subnucleus caudalis and the other cranial nerves, and that this is what caused involuntary movement of the neck, eyes, coughing, utterances, and so on. By decompressing the trigeminal nerve, he has seen that these symptoms vanish completely. Constant stimulation of the auriculotemporal nerve (CN V) may then result in the stimulation of CN’s V, VII, IX, X, via crossover interneurons (ephapses) and other neural elements in the reticular formation. All of these nerves are intimately involved with movement disorders. In summary, we find that chronic noxious input via the auriculotemporal nerve causes reflex reactions with CN’s V, VII, IX, and X via the crossover pathways at various segmental levels within the spinal cord. If the connection proposed by Dr. Sims et al is true, I believe these same results can be achieved without any dental appliance at all, but by simply altering the postural resting position of the mandible, as well as rehabilitating the lateral pterygoid muscles. Now, I have not had any dystonic or tourette’s patient in my clinic so far, but I think this was interesting enough to mention in this article. Several studies suggest a connection between temporomandibular disorder and ménière’s disease, which is not surprising, considering the close relationship between the trigeminal nerve and TMD. The trigeminal nerve is involved controlling the eustachian tube, and dysfunction of the latter has been strongly associated with ménière’s disease. Problems with the cervical spine may contribute to dysfunction of the eustachian tube, which I have written about in detail in my atlas joint article. Irritation of the trigeminal nerve, most likely caused by impingement of its auriculotemporal branch due to TMD, can thus affect the eustachian tube’s function to such a degree that attacks of vertigo occur. So, by decompressing the trigeminal nerve, the noxious input will cease, and the jaw’s impairing effect on the eustachian tube will be resolved. Bruxism, being teeth grinding in the night, is a response to mandibular instability. Lack of vertical height of the teeth, improper tongue posture (especially a completely lowered tongue), as well as TMJ stability will cause the nervous system to try to find stability in occlusion, by clenching the teeth together. This, of course, will just reduce the vertical dental height further over time as they are wearing out, and thus exacerbate the bruxism. There are some dentists that repair the teeth’s dental height, or make night splints for the teeth. Usually though, establishing TMJ stability through strengthening the pterygoids, getting the tongue up to the roof of the mouth and changing the resting position of the mandible in daily posture will be sufficient measures. If this does not cure the bruxism, a splint or other relevant dental procedure may be necessary. As already mentioned, the trigeminal nerve innervates the muscles that control sound modulation in the ear, namely the tensor tympani and tensor veli palatini muscles. Compression of this nerve’s branches will often spread to the ear, which is why there is a high correlation between TMD and tinnitus complaints. Tinnitus may also occur because of buccal nerve compression, in which case it is not necessarily a TMD problem but a lateral pterygoid problem. 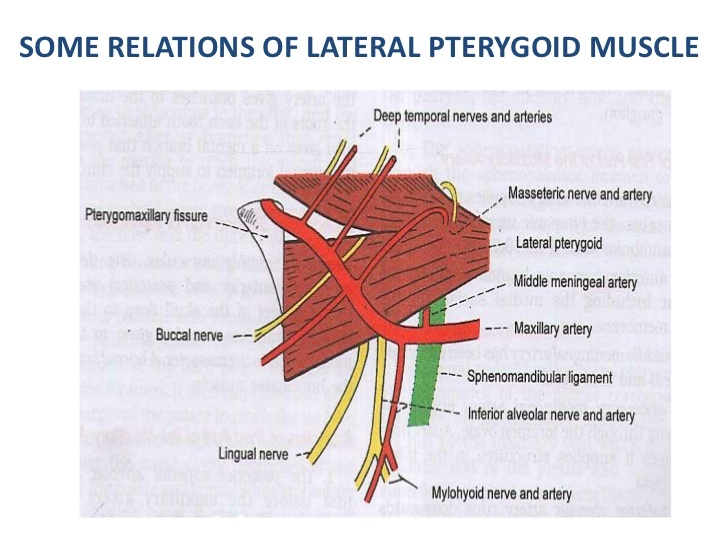 Additionally, the pterygoid muscles have fascial connections to the inner ear. Both pulsatile tinnitus and ordinary tinnitus may be treated by strengthening the pterygoid muscles and optimizing mandibular articulation and resting position. Tinnitus may also be caused by sympathetic plexus irritation. Review my thoracic outlet syndrome and atlas articles for further information. As the Mews mentioned, the solution may be perceived as too simple to be true. Although I don’t follow the exact same protocol that they use as dentists, their principles definitely led me to the solution of this issue as a structural corrective that can be maintained with proper myofascial and postural work. I’ve touched on it already; maintain proper mandibular resting position by protracting the jaw slightly. You may disregard your occlusion, it is ok that the teeth are not touching, because your dysfunctional occlusion is what’s causing your TMD in the first place. Dentists probably won’t agree with me, but I have a close to 100% success rate treating TMD this way, and strongly believe that this outweighs any benefit that a dysfunctional occlusion may yield (if any). By optimizing tongue posture, and chewing harder foods, the maxilla may develop in a parallel manner and thus lead to a win win situation. From maximal mandibular retraction, protract the jaw (2)-4 millimeters, and stay there. Read that twice if you need to, because it’s the foundation of this article and the most important principle of curing TMD. This single postural act will open up the TMJ, completely removing the chronic shear forces between the mandibular condyle and the joint’s disc and socket. You may end up with a slight underbite (rare), but this is still better than eating through a straw and living with chronic facial pain. Most people won’t end up with an underbite though; it’ll just feel a little weird not to maintain occlusion in posture. Once again, the molars can no longer occlude in this position, which is normal and not a problem. The key is to unjam the TMJ by getting the mandible forward. The lips should be sealed, and you should breathe through the nose. This will keep the front teeth in check, hindering them from protruding. In fact, it’ll keep them in line. Of course, you must maintain your normal occlusion when eating, to crush the food with your molars. That’s fine, it won’t cause any injury as long as the TMJ is centrated at all other times. The body can cope with this minor joint shearing, as long as it ceases at the remainding hours of the day. Pain levels will usually reduce quite quickly after optimizing joint resting position, unless there is severe bruxism at play. In such case, as mentioned, a night splint may be necessary. Additionally, it’s important to optimize mandibular movement by teaching it to protract properly during opening, and gradually (not maximally) retracting during closing. It’s difficult to learn both a new mandibular resting position and way of opening, but definitely doable with some practice and motivation. Honestly, proper opening and closing of the mouth is something anyone can benefit from, TMD or not, as the pterygoids which promote proper mandibular kinematics also attach to the sphenoid bone. I’ve written more extensively about this in my atlas article, but my theory is that it controls posture due to its relations to the optic chiasm and nerve tracts. This is probably why so many studies show correlation between occlusion and posture; due to its relation and altered pull on this very special cranial bone. Teeth clenching during stress, mouth breathing, etc, must also cease. Jaw clenching often reduce or cease on its own when proper resting position is assumed, as it’s not possible to protract the mandible and clench the molars simultaneously. Mouth breathing however, may be more difficult to stop with if the airways have been restricted as shown in the initial video in this article. If this is your or your patient’s problem, I recommend looking into the “Buteyko breathing method”, which addresses this issue. Strengthening the lateral and medial pterygoids will often be necessary to promote proper joint kinematics (jaw movement), resting position, and also to free the buccal nerve from potential entrapment. An indication of weakness can be buccal nerve pain, tinnitus, or difficulty maintaining the new mandibular resting position. A small number of sufferers may struggle to protract the jaw without clenching the suprahyoid musculature. This is a strong dysfunction, and indicates extreme weakness of the pterygoids. In such case, very light protractions without any resistance must take place, while simultaneously palpating the suprahyoid musculature and ensuring that it is not activating during protraction. To resolve TMD, it is CRITICAL to learn how to protract the jaw without tensing the supra hyoid muscles. Read this several times, if needed! It is vital. Here are the exercises. Again, make sure that you’re not clenching the suprahyoid, which is a common cheat when the pterygoids are forced to work harder than their capacity allows. The lateral pterygoid can be strengthened by opening the jaw forward and downward while resisting with your palm. Make sure to also control the eccentric phase (reversal). The medial pterygoid can be strengthened by closing the jaw forward, form an open base position. Once again, use your palm as resistance and make sure to control the eccentric phase. The epiglottis is a flap made out of elastic cartilage, a valve that diverts air to the windpipe (trachea) and food contents into the stomach pipe (esophagus). Normal resting position of the epiglottis is a relatively closed resting position. If the epiglottis not sufficiently closed during inspiration, it will not be able to deflect pathogen from the stream of air properly, and all of these will pass into the trachea and lungs, something that may lead to chronic respiratory infections, clogged nose and so on. Similar symptoms may also occur if the epiglottis opens up excessively during expiration, as the contents from the esophagus may follow the air flow through the nose, causing buildup of fungi and bacteria and thus clogging up the nose. Likewise, if the epiglottis is not sufficiently closed when we talk, the stomach pipe will be open, and gasses and odours from it will be let out as we speak, which may cause chronic bad breath. For the epiglottis to rest in proper closure, the hyoid bone must not have dropped down or come forward in posture, i.e general resting position. The hyoid should be situated in level with the mid-C3 vertebrae, and it should not be pulled excessively to one side (this often causes clicking hyoid syndrome, as it rubs into the thyroid cartilage). If the hyoid has dropped, the chin will appear to be ‘double’, i.e appear to be adipose tissue, even if the person is slim. This is not adipose tissue, however, it is a dropped hyoid bone. And when the hyoid drops, the epiglottis will come down and forward as well, i.e open up. Sometimes, the epiglottis is resting in proper position when breathing, but opens up too much when speaking, leading to bad breath, but not excessive pathogen inflow and respiratory infections. Proper resting position of the epiglottis is encouraged by proper swallowing techniques as well as proper tongue posture. However, the epiglottis should still stay relatively closed when the tongue is articulating (i.e speaking), so it’s not solely dependant on the tongue’s position. Because the mandible and the epiglottis are connected through the tongue and hyoid bone, protracting the mandible in posture (to resolve TMD) may sometimes also cause dysfunction of the epiglottic valve, because it will somewhat pull the hyoid bone forward, and nervous system isn’t used to or able to close the epiglottis normally in the new mandibular position. This is simply a matter of training it to do so, by learning to control it. The epiglottis closes when we initiate swallowing. Palpate your hyoid bone while swallowing and you’ll feel it move up and posteriorly. Instead of allowing the valve to be completely open when breathing and talking, which would also be indicated by downward and forward drop of the hyoid bone, it’s important to train it to remain in proper position. Proper position is just open enough to maintain steady and full airflow. Initiate swallowing and try to breathe; it won’t work as the epiglottis is blocking the trachea. Now reverse the swallowing by a few millimeters; breathing should be possible but restricted. Reverse it some more; breathing should now be fully possible without restrictions, but the hyoid has still not dropped down or forward. Learn to breathe, and talk without allowing the epiglottis to drop down and forward. Clenching of the hyoid muscles may also be a compensatory strategy which is secondary to cervical instability. Poor cervical postures, muscle weakness or injury (especially of the longus capitis & colli muscles), etc., may cause the patient to clench his throat (hyoidal muscles) as they have similar functions as that of the deep neck flexors. Clenching them will somewhat increase cervical stability. However, it will also pull the hyoid bone caudally (down) as well as the mandible back, and is thus an important factor to evaluate in neck and jaw patients. If the patient is clenching their throat in order to stabilize their necks, it is important to re-incorporate the impaired muscles’ function (often the deep neck flexors) and simultaneously work on ceasing his or her throat clenching. Read my atlas article for more information on this topic. Temporomandibular dysfunction or TMD occurs when the mandibular condyle (head) is continuously resting or being pushed too far back into the joint socket. Over time, this may injure the articulate disc and cause its displacement, lead to joint degeneration, trigeminal neuralgia, postural anomalies and so on. The main cause of the posterior position of the mandibular condyle, is an underdeveloped maxilla bone (upper jaw). This causes occlusion to establish too far back, ultimately jamming up the joint due to length differentials between the mandible and maxilla bones (as the mandible keeps growing to its full potential, no matter if the maxilla’s growth is inhibited). Proper tongue posture, nasal breathing and lip sealing may encourage the once inhibited maxillary horizontal growth process to reinitiate, even in adulthood. Swayback posture leads to forward head posture, which causes the mandible to pull backward due to its sternal attachment through the hyoid musculature. Thoracopelvic and craniocervical posture is therefore a relatively important aspect in the treatment of TMD. Posturally protract your mandible 2-4 millimeters from maximal retraction (most important). Sometimes more than 4 mm will be required. Are you a chronic muscle clencher? Woe to you! The information about TMD is excellent. I have severe mandibular dysfunction. The mandibular is shifted left because of the excessive therapy done by a dentist. Can it be corrected without surgery? I was wondering if an open bite can disappear without surgery ? Do palate enlarge due to constant firm pressure and a good tongue posture, and then reduce the gap between upper and low teeth ? If I follow all of the steps above “religiously” how long will it take before I start to see some improvements? Btw my tmd problem is relatively small. Thanks. Depends if you do it right or not, but I’d say within 4 weeks. Probably earlier. OMG thank you, thank you, thank you!!! It has been two years since I’ve been afflicted with TMJ issues. I’ve seen my doctor, dentist, an oral surgeon, a TMJ specialist, a physical therapist, an acupuncturist, and a chiropractor. My next stop, before finding your post, was to have Botox into the masseter. 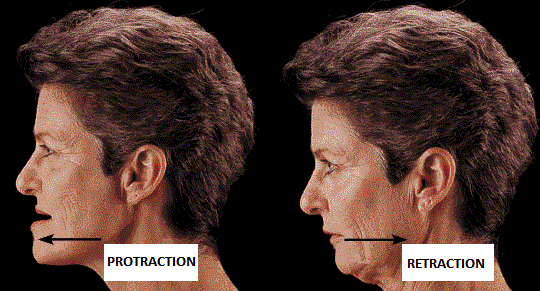 In just two days of following your jaw protraction exercise I am virtually back to myself. I literally felt the discs slip back into their place!!!! FANTASTIC!!! Is it best to stop wearing my orthodontic retainer (Essix retainer) in order to follow this method? Depends on how it’s built. I can’t comment on it without seeing you.